Thu., 6 Feb. - Tue., 11 Feb. Sun., 15 Dec. - Thu., 26 Dec. 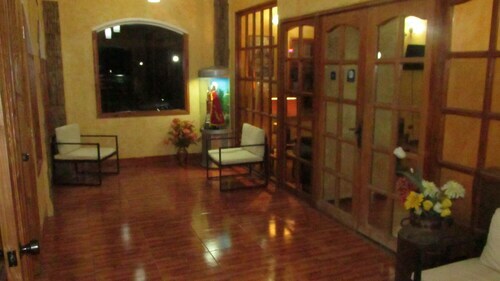 Situated near the airport, this spa hotel is within 3 mi (5 km) of San Juan Bautista Cathedral, Calama Municipal Stadium, and Los Lolos Park. Mall Plaza Calama is 2.9 mi (4.7 km) away. 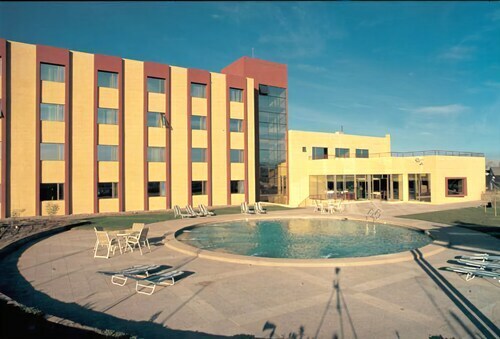 Situated in Calama, this hotel is within 3 mi (5 km) of Calama Municipal Stadium, San Juan Bautista Cathedral, and Mall Plaza Calama. Los Lolos Park is 3.1 mi (4.9 km) away. Situated in Calama, this aparthotel is within 1 mi (2 km) of San Juan Bautista Cathedral, Calama Municipal Stadium, and Los Lolos Park. Mall Plaza Calama is 1.5 mi (2.5 km) away. 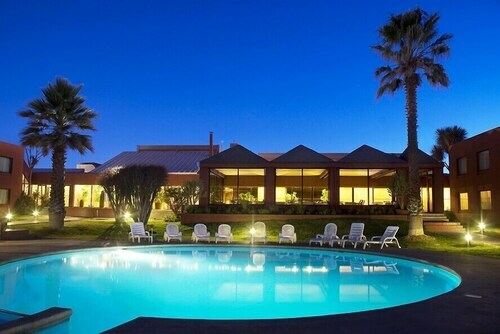 Situated near the airport, this resort is within 3 mi (5 km) of Calama Municipal Stadium, San Juan Bautista Cathedral, and Los Lolos Park. Mall Plaza Calama is 2.2 mi (3.6 km) away. 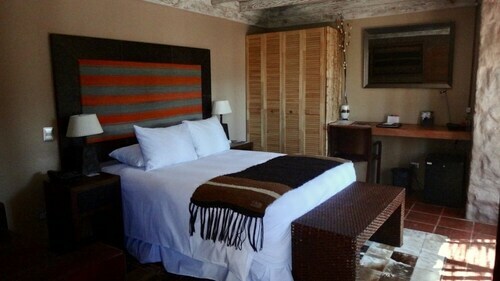 Situated near the airport, this boutique hotel is within 1 mi (2 km) of Calama Municipal Stadium and San Juan Bautista Cathedral. Mall Plaza Calama and Los Lolos Park are also within 2 mi (3 km). Situated in Calama, this hotel is within a 15-minute walk of Los Lolos Park, Mall Plaza Calama, and San Juan Bautista Cathedral. Calama Municipal Stadium is 0.7 mi (1.1 km) away. 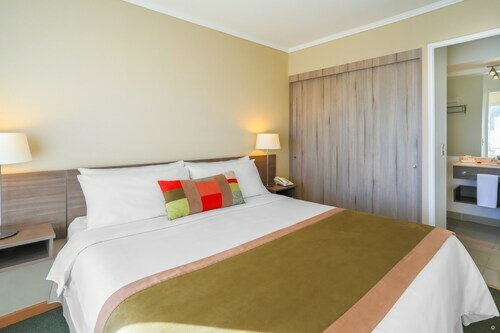 Located in the heart of Calama, this hotel is within a 15-minute walk of Mall Plaza Calama, San Juan Bautista Cathedral, and Calama Municipal Stadium. 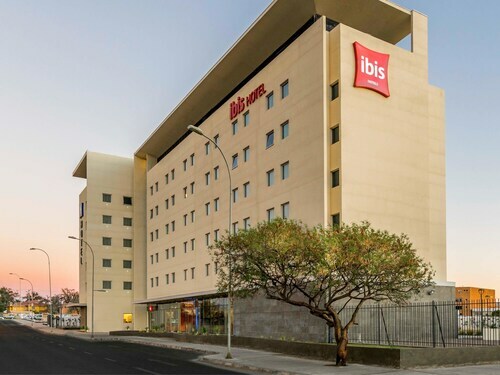 Situated in Calama, this hotel is within 2 mi (3 km) of Calama Municipal Stadium, San Juan Bautista Cathedral, and Mall Plaza Calama. Los Lolos Park is 1.9 mi (3 km) away.